In what is still the definitive film about the Vietnam War, Colonel Kurtz has gone poo-flinging bugnuts crazy and it’s up to skinny Captain Willard to eliminate the problem. For an assassin, Willard practices martial arts a lot like he’s birthing a football, but whatever. Just one of the many ways this film illustrates the madness of engaging in war and the greater madness of winning one. 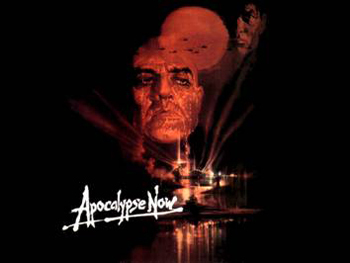 How Well Do You Know Apocalypse Now Redux?